Energetically, we are connected to one another – having the same essential wants, needs, hopes and dreams of all other humans on the planet. No Matter where we live or under what conditions, in a palace or a mud hut, we all love our children, hurt when a loved one dies, long to be included and welcomed by others, can laugh at a good joke, and want our fears to go away. All people, no matter what age, race, religion or culture, yearn for the respect and acceptance of others. We want to know that we are special, that somehow, just because we are here on earth that we matter. Energetically, we impact and affect each other – through our facial expressions, thoughts, judgments, criticisms, comments, tone of voice, understanding, acceptance, acts of kindness, generosity and caring. A simple action, inaction or reaction enters the lives of all those around us, whether they are people we know well or complete strangers, physically close or far away. Energetically, our energy is a part of and therefore co-creates a global energy. What is created when I think, act and speak? From my heart to yours, I wish everyone a joyful and peaceful holiday season and a New Year that brings all of us throughout the world, increased “unfoldment” – enlightenment, awareness and a mutual understanding that creates connection and understanding between all people and recognizes that energetically, we are one. The following is a true story . . .
Now, that was no longer possible.. The leukemia would see to that. But she still wanted her son’s dream to come true..
She explained her son’s final wish and asked if it might be possible to give her 6 year-old son a ride around the block on a fire engine..
Fireman Bob said, ‘Look, we can do better than that. 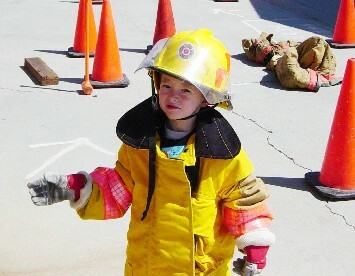 If you’ll have your son ready at seven o’clock Wednesday morning, we’ll make him an honorary Fireman for the whole day.. He can come down to the fire station, eat with us, go out on all the fire calls, the whole nine yards! And even the fire chief’s car. With all the love and attention that was lavished upon him, so deeply touched Billy, that he lived three months longer than any doctor thought possible..
One night all of his vital signs began to drop dramatically and the head nurse, who believed in the hospice concept – that no one should die alone – began to call the family members to the hospital. Then she remembered the day Billy had spent as a Fireman, so she called the Fire Chief and asked if it would be possible to send a fireman in uniform to the hospital to be with Billy as he made his transition.. The chief replied, ‘We can do better than that. We’ll be there in five minutes. Will you please do me a favor? 16 fire-fighters climbed up the ladder into Billy’s room. With those words, Billy smiled and closed his eyes one last time. Thank you to my good friend, Susan Power for this touching story. Why do we seek great leaders in business, politics and in other areas of our lives and end up being disappointed time and again? Why do we build them up, invest all our hopes and dreams in them, expect them to have all the answers and then tear them down because they don’t fulfill our every expectation?